The GLE SUV is Mercedes-Benz’s highest selling SUV and is now available as a petrol variant for the first time, starting at Rs 74.9 lakh, ex-showroom, New Delhi. The GLE 400 4MATIC is powered by a 3-litre V6 petrol engine with 333 PS and 480 Nm on tap, which is transferred via a seven-speed 7G-TRONIC PLUS. Among driver assists, the GLE 400 offers five drive modes – Comfort, Sport, Slippery, Individual and Off-Road, courtesy Mercedes’ Dynamic Select. Meanwhile p, apart from the regular list of luxuries, the GLE 400 boasts Apple’s CarPlay and a Harman Kardon Logic 7 Surround sound system for a 360-degree acoustic experience for every passenger. “We believe the introduction of the petrol version will further bolster our presence in the luxury SUV segment. 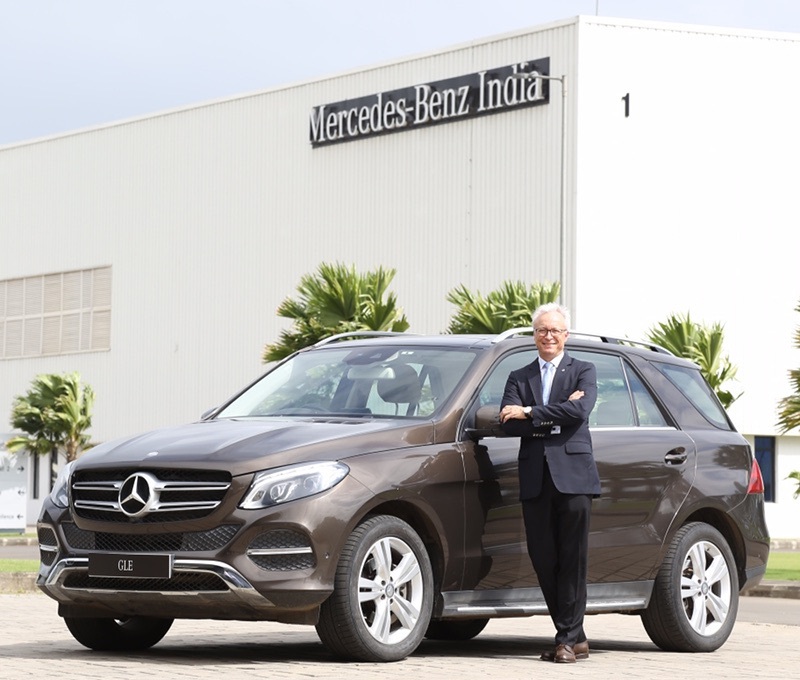 For the first time we are offering the GLE with a petrol mill and this underscores our strategy of offering the right product for our growing customer base,” said Roland Folger, Managing Director and CEO, Mercedes-Benz India.